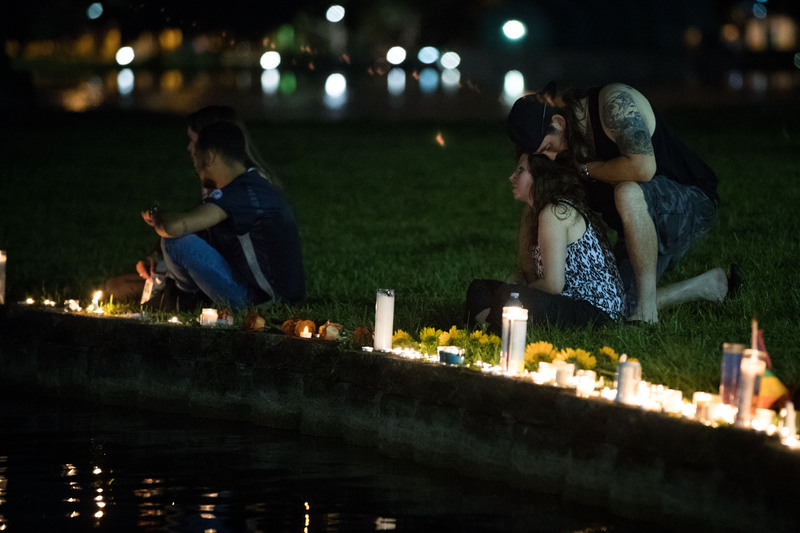 The horrific June 12 mass shooting at the Pulse nightclub claimed 50 innocent lives and shook the nation to its core. Who was Eddie Jamoldroy Justice? The 30-year-old accountant was among the Orlando shooting victims and his last texts to his mother are so sad. In the midst of the frightening events that took place inside Pulse, Justice managed to text his mother from a bathroom inside the venue. "Mommy I love you," Justice sent to his mother, Mina Justice, at approximately 2:06 a.m., the Associated Press reported. Mina told AP that she was fast asleep when this first text arrived. "In club they shooting," Justice typed out and sent to his mother next. After Mina texted Justice asking if he was OK, at 2:07 a.m. Justice responded that he was trapped in the bathroom. Then, at 2:08 a.m., Justice sent his mother the one text no parent ever wants to read: "I'm going to die." At this point, Mina told AP, she realized Justice was in danger, so she called 911. Justice was one of the numerous individuals held hostage inside the nightclub bathroom during the horrifying attack. At 2:39 a.m. Justice texted his mother saying, "Call them Mommy. Now." Minutes later he followed up: "He's coming. I'm gonna die." Mina remembered her son as someone who liked to make people laugh, she told AP. Justice worked as an accountant and lived in a condo in downtown Orlando. "Lives in a sky house, like the Jeffersons," Mina told AP. "He lives rich." Mina waited more than 15 hours after receiving her son's last text to get confirmation that he was one of the casualties in the attack. The names of the Orlando shooting victims are beginning to be released and they will continue to be updated over the coming days.